Jenny meets Chance for the very first time when she is assigned as his partner in their Junior Oral Communications class. But after they rescue a doomed assignment with one clever lie, the whole school is suddenly convinced that Little-Miss-Really-Likes-Having-A’s and the most scandalous heartbreaker in school have been best friends forever. It’s amazing how quickly a lie can grow—especially when you really, really want it to be the truth. Just Friends by Tiffany Pitcock looked pretty promising. I mean, I am not above a fun, contemporary YA romance book. In fact, those are kind of my favorite when I am in moments of stress and feeling overwhelmed. Just Friends contains the tropes that I am here for. However, it just didn’t click with me in the way that say, Anna And The French Kiss or My Life Next Door did. 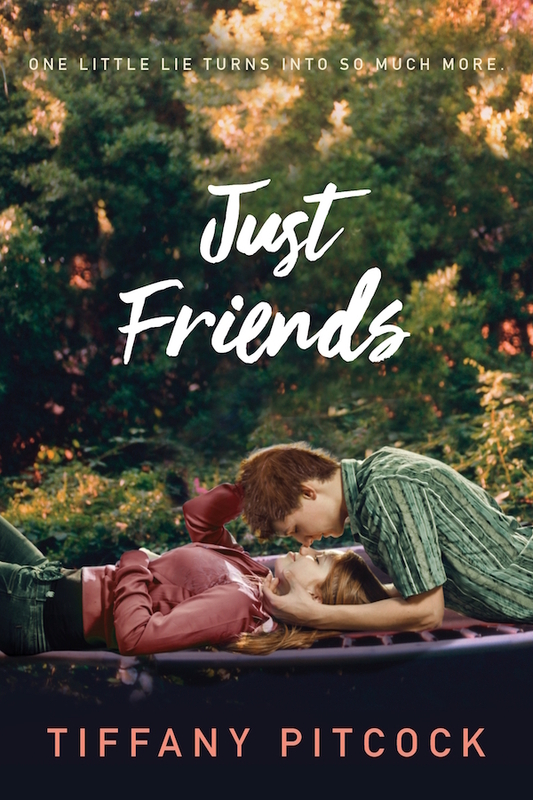 Tiffany Pitcock’s Just Friends follows high school juniors Chance and Jenny. The two are paired up in a communications class for this exercise where they talk about what they did during the summer. The two spin a story of being best friends since childhood. The lie kind of spins out of control and everyone at school begins believing that they grew up best friends. This leads to the two developing a strong friendship between them which both long for to become more but do not exactly communicate that to each other. Jenny is on her way to becoming valedictorian. She is obsessed with getting A’s. However, she’s also got a flair for the adventurous and tries to always take the road less traveled which drives her actions throughout the book. She lives with her mother, younger brother Jack, and younger sister Jessa. She has a friend named Kelsey. However, Jenny has this tendency to keep people at arm’s length and is quite reserved. Still, Chance might just be the key to unlocking her reserved nature. Chance kind of has a reputation. I mean, he is known for making his rounds through the ladies in school. He’s never with the same girl twice. Despite sort of a freewheeling romantic life, he has a pretty heavy home life. His parents are always fighting and sometimes they put him in the middle. His other brother Levi just left for college and never came back. So, hanging out with Jenny gives him a sense of normalcy and makes him feel less lonely. Plus the two have this very easy banter around each other. I will say Just Friends does a good job with the chemistry. Much like Jenny keeps people at arms length throughout the book, I felt as a reader as though I was kept at arm’s length distance from enjoying Just Friends. I would say that I just felt there was something lacking. We see over and over again that Chance and Jenny have these stereotypes and sure both eventually learn. Still, I didn’t feel like they were very deep characters. It just didn’t feel as polished or as vivid as other contemporary YA romance books I have read. However, I did read this mostly fast. It just never kept me engaged or gave me that feeling that I HAD to drop everything else and read it.